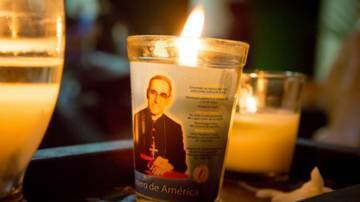 Find resources to celebrate the life of Saint Oscar Romero, a guiding light to poor communities in El Salvador. We are proud that Saint Oscar Romero was a CAFOD partner and friend. With Pope Paul VI, the great Archbishop of San Salvador was made a saint on 14 October 2018. His deep commitment to the poor and passionate belief in justice inspires our work. Find out more about Romero's life. 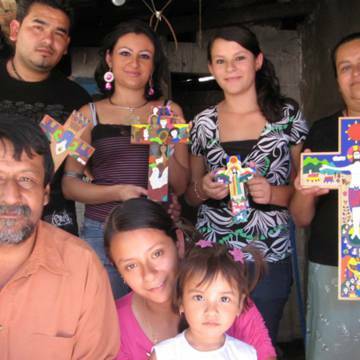 These beautiful crosses commemorate St Oscar Romero's life. Contact us to order crosses.